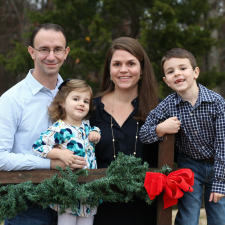 Mike is married to Amy, and they have two children, Luke and Katelyn. Originally from Knoxville, Tennessee, Mike studied Political Science at the University of Tennessee while serving in various ministry roles, including interim youth pastor at Sevier Heights Baptist Church (Knoxville). He graduated from Southeastern Baptist Theological Seminary with the Master of Divinity degree, and later served as pastor of outreach/inreach and ministry development at Providence Baptist Church in Raleigh. He began serving as our pastor in January 2011. He&apos;s on Twitter.